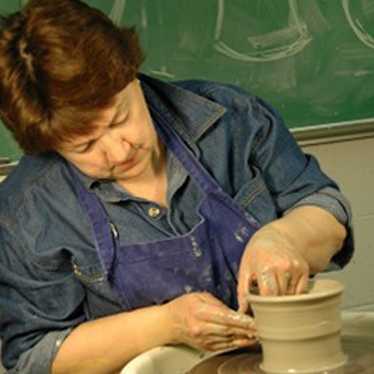 Gale Woodhouse has been a professional studio potter for over 30 years. Trained and apprenticed in England as a production potter Gale now works out of her studio, Woodhouse Arts in Vernon BC. Although focusing on clay, Gale mainly produces mixed media sculptural works and prints for exhibition and galleries. Throwing and altering forms in clay is Gale’s passion and teaching the skills acquired over many years of studio practice continues to inspire new creations.